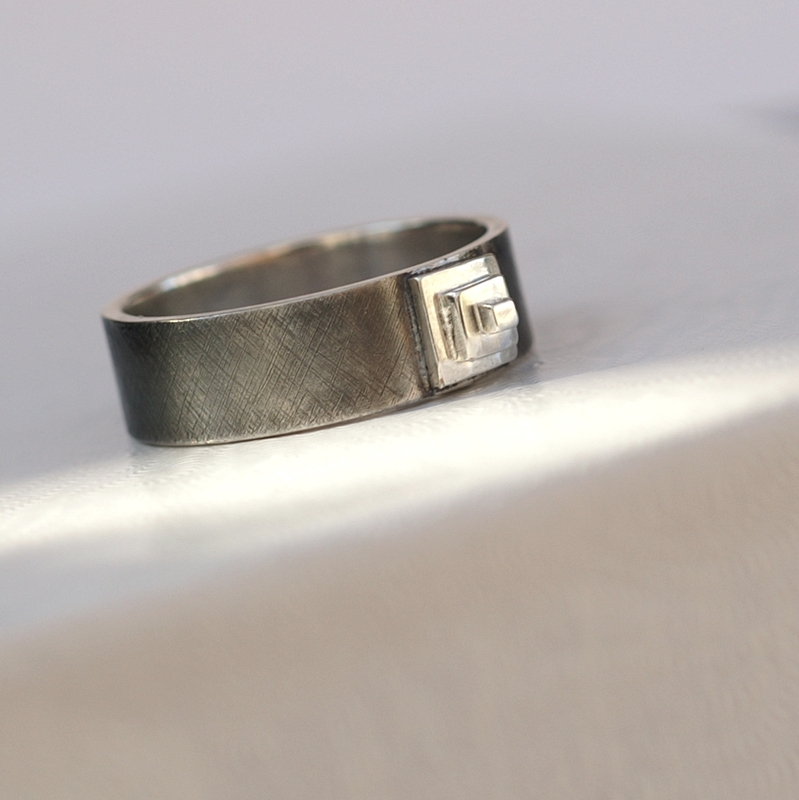 Hand-fabricated from scratch, textured finish (rough cross satin) with shiny step pyramid. 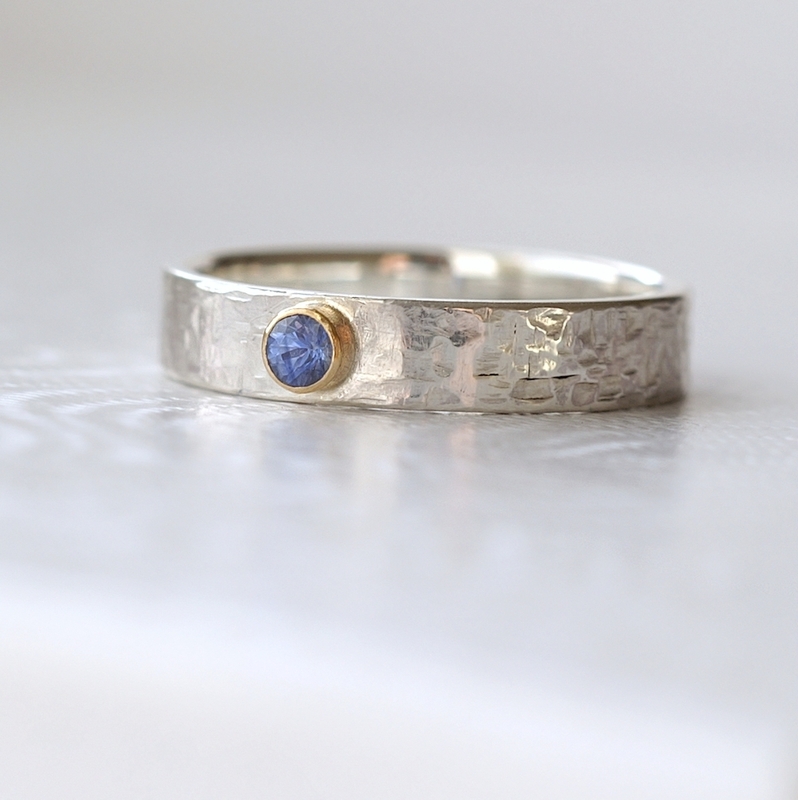 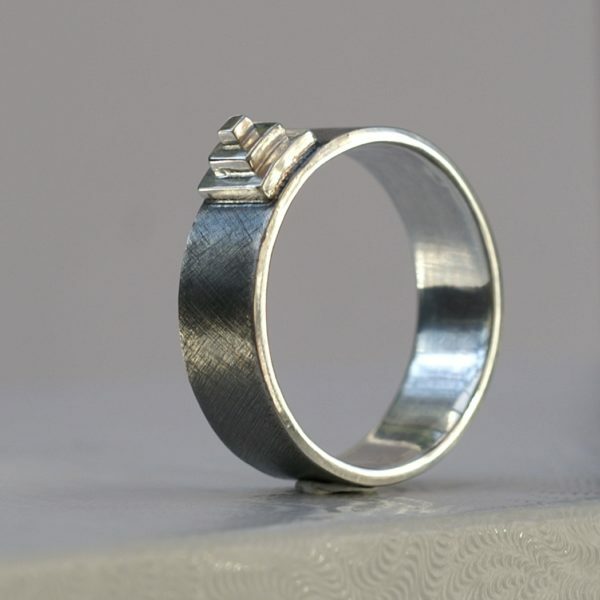 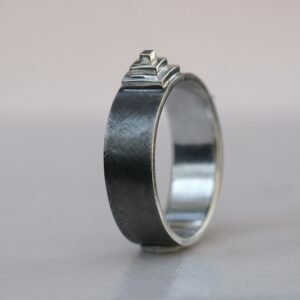 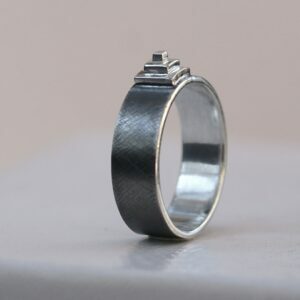 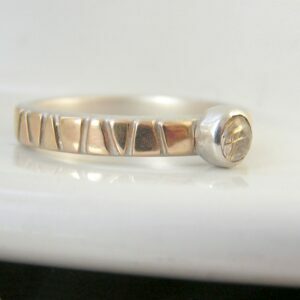 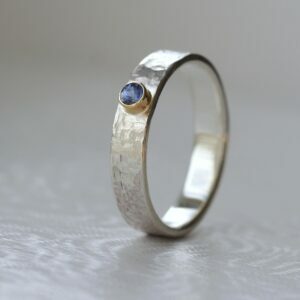 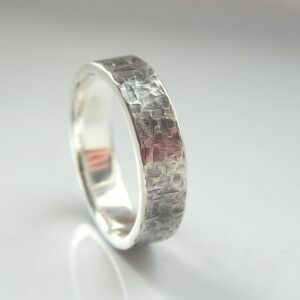 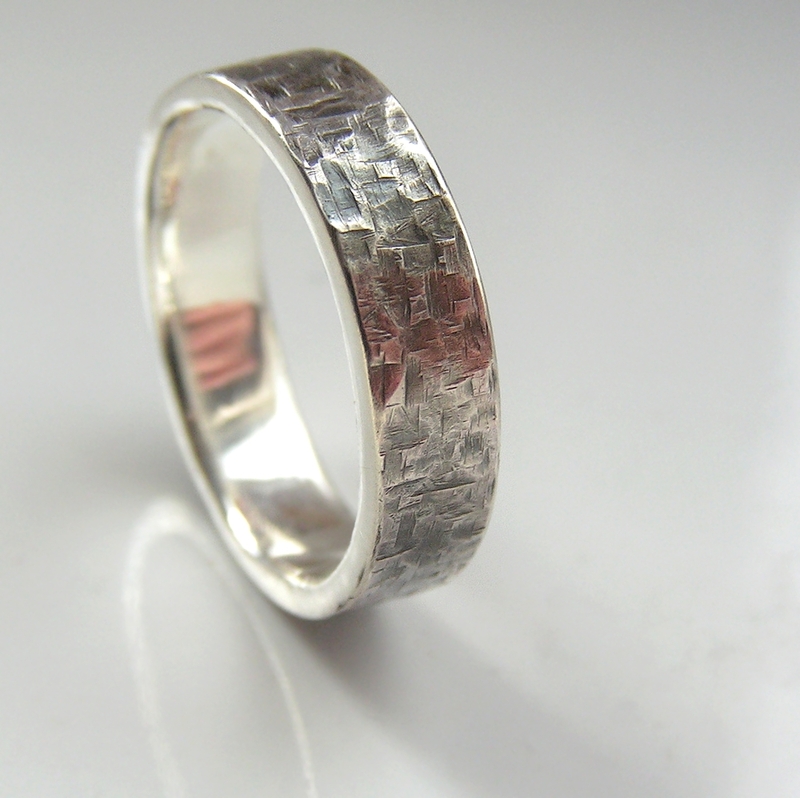 Unique modern sterling silver ring. 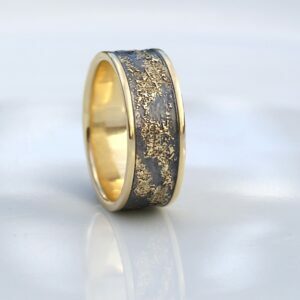 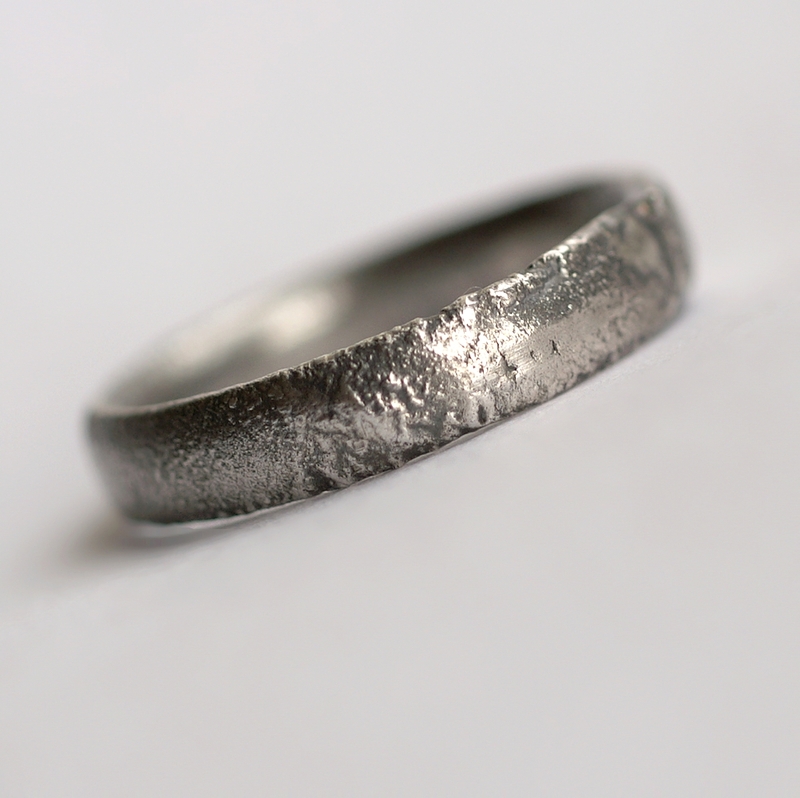 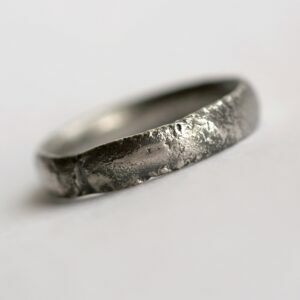 Oxidized and polished to highlight the texture. 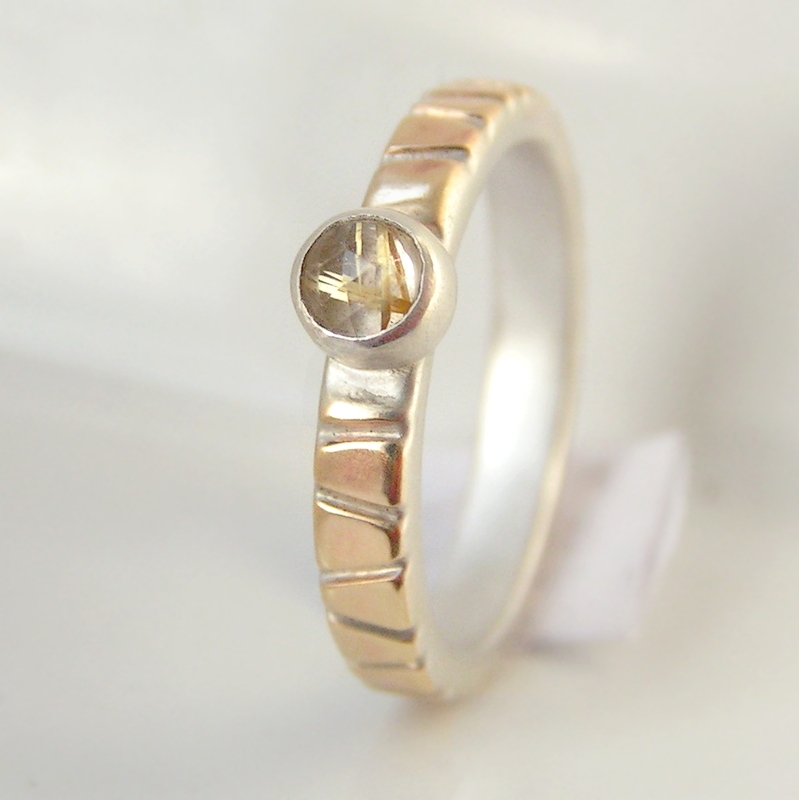 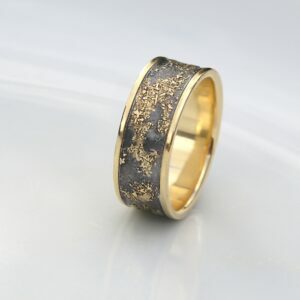 I can make this ring in different size, please contact me. 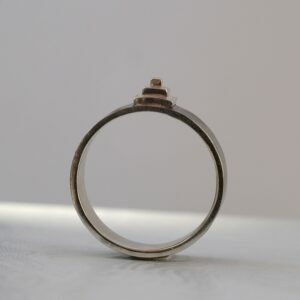 Other customization (wider ring, bimetal combination etc.) are also possible.